Here’s a new take on an advent calendar that’s not only great for Christmas but can also be a great idea no matter what time of year it is! Joe and Denise’s second daughter, Jessica, (a mother of three young boys) shares how she likes to use the Telling Your Child the Truth scripture card set in a fun way. Our oldest son is now three years old so he’s really excited about Christmas this year. He loves learning – letters, numbers, colors, animals, sounds. 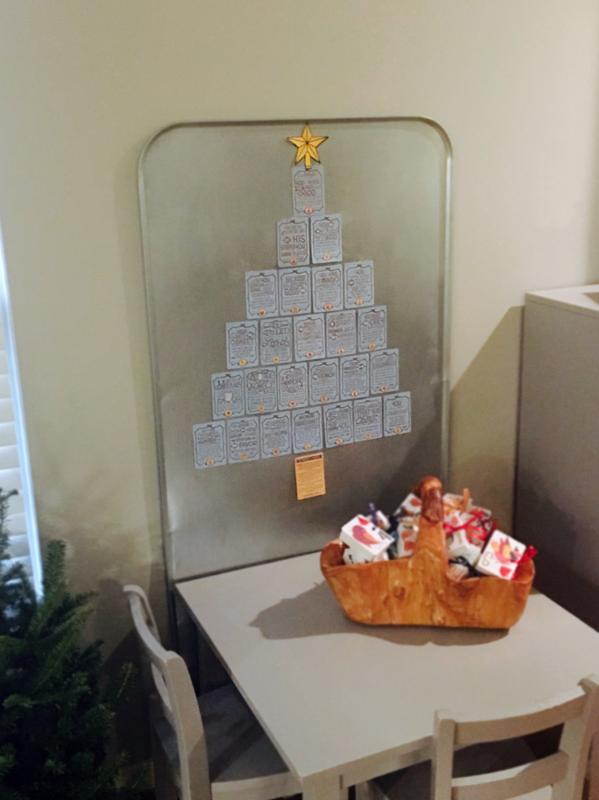 So, I thought that this year would be a wonderful year to introduce an advent calendar to our home to really bring the Christmas season to life for our family! I went online to see what I could find to purchase and there were so many cute and fun options and ideas…most of which would stay cute and fun for about 10 seconds in our house (3 boys under 3)! Then I thought about the Telling Your Children the Truth cards that we go over each week and realized that it was a perfect opportunity to reinforce what we are learning about what God’s Word says about them as well as tie it back into the story of Christmas and the reason we celebrate this holiday! 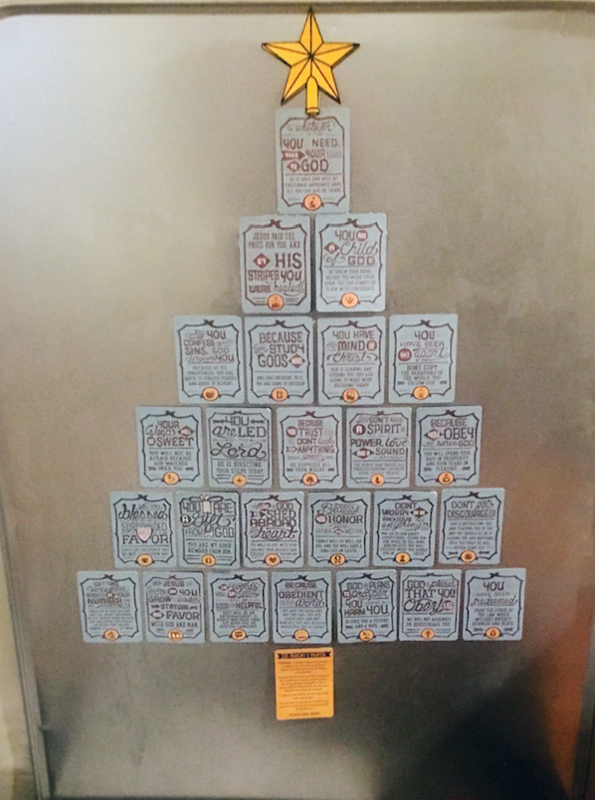 We placed 25 cards in the shape of a Christmas tree, put the Parent’s Prayer (for my husband and myself to see and pray over them daily) as the base of the tree, and added our own tree topper to give it a pop! We are taking each day in December and discussing the scripture on that days’ card with our boys as we count down our 25 days until Christmas! I love these cards! 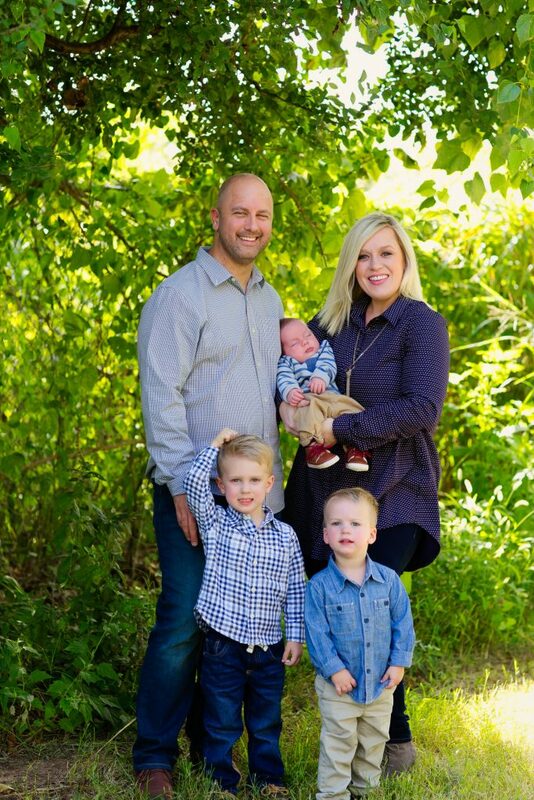 They have changed the way I teach my children the Word of God and continue to be an incredible resource and tool for me to use as I navigate how to “train up” my boys. It doesn’t have to be elaborate, but find ways to incorporate God’s Word and telling your children the truth every day! 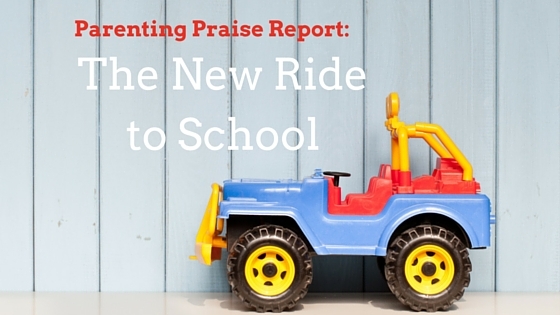 Check out how God’s Word helped change the ride to school for another family.